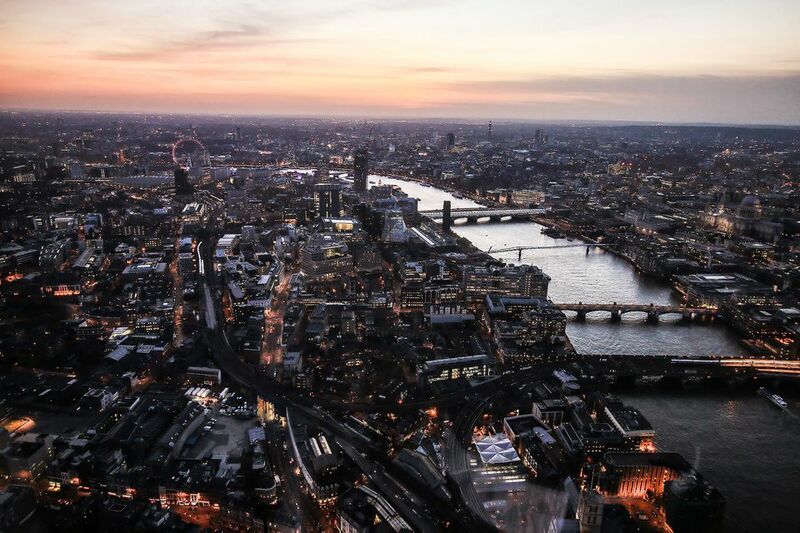 London deserves to be seen from above. It is an architecturally diverse world city that has evolved over thousands of years. The View From The Shard is the premium visitor attraction inside The Shard, a landmark building on the London skyline. The Shard is the UK's first vertical city and is 1,016ft (310m) tall. The towering building includes offices, international restaurants, exclusive residences, and the five-star luxury Shangri-La hotel, plus The View From The Shard for public access. The Shard is on the edge of London Bridge station and has been the catalyst for regeneration in the area, now known as London Bridge Quarter. It sits centrally between the West End, Westminster, the South Bank, the City and Canary Wharf which means it has to have the best viewing opportunities in London. From the entrance, you go upstairs to the Foyer and ticket office ready to go through security checks at an allocated time so there shouldn't be overcrowding or long lines to wait in. Look out for the witty images on the walls featuring famous Londoners. From here, there are two lifts to take visitors up to level 33. The lifts travel at 6 meters per second so this only takes 30 seconds. Inside the lift, there are screens on the ceiling and mirrored walls plus music from the London Symphony Orchestra. Yes, it's fast but it didn't feel unnerving and the stop is smooth so your stomach should be fine too. There isn't a viewing platform at this level; you simply need to change to another lift. But to make it more interesting there's a graffiti map of London on the floor with lots of clues to London trivia. You take another lift from level 33 to level 68 and arrive at 'Cloudscape'. This level, we assume, is just to help you adjust to the high height so you don't come out of the lift and see the views immediately. The walls have an opaque film covering them explaining the types of clouds to help you identify them. From here, walk to level 69 and you have reached what will be the most popular floor of the building. The views are spectacular even on a low visibility day. There are 12 'Tell: scopes' to help you identify the landmarks. These can be moved as a telescope to look closer at the view and the names of 200 landmarks appear on the touchscreen. You can also choose Sunrise/Day/Night options of the same view you are pointing the tell: scope towards. This is really helpful on a low visibility day and also very encouraging to know what the view would be like in the evening. You can continue up to Level 72 for the partially outdoors viewing platform. The views may not be as good but you do start to really feel you are truly high up as you can feel the wind (and rain) and feel like you're inside the clouds. The Shard's Sky Boutique is the highest shop in London and is on level 68. The entrance is on Joiner Street, London SE1. Tickets: Tickets must be pre-booked as numbers are managed to ensure no crowds or queues. Gift Certificates are available to allow the recipient to choose when they would like to visit.